For nearly thirty years, member support has allowed EFF to grapple with technology and its impact on the future of our civil liberties. When our eyes are so keenly focused on the horizon, sometimes we forget how far we've come. 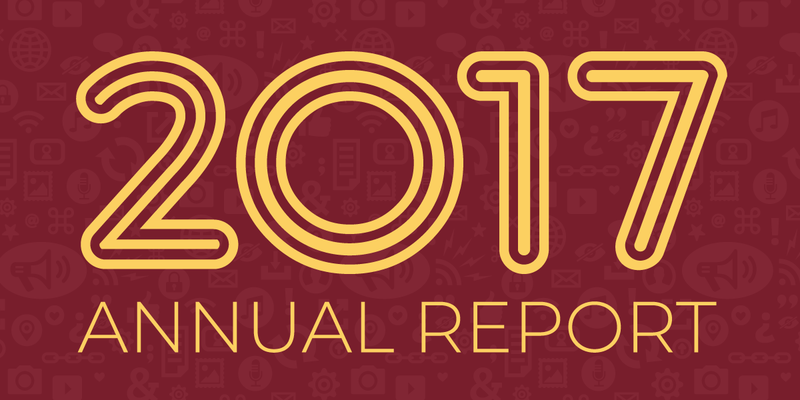 Our just-published Fiscal Year 2017 Annual Report includes a snapshot of that progress, with an update from EFF Executive Director Cindy Cohn and highlights from the year, including: EFF's groundbreaking border search case and our battle against the dangerous rise of surveillance technology; our continuing fight to preserve the open web and protect creators and fight poor patent claims; and our efforts to meet the security needs of growing communities and speak up for bloggers and technologists silenced by the state. You'll also find information about our finances for fiscal year 2017. EFF is deeply grateful for support from nearly 40,000 active donors from every corner of the globe! These donors, who give mostly modestly-sized contributions, keep EFF strong and independent. Our annual reports are a fun opportunity to take a peek behind the curtain of your favorite digital rights organization, and show you where we're heading. People around the world have joined EFF to defend freedom of expression, protect encryption, battle patent trolls, stand up for the freedom to tinker, empower users with technical tools and knowledge, and so much more. We are leading a movement to ensure that basic rights and freedoms carry on as technology continues reaching into every corner of life. Because of supporters like you, our values live in the law, in code, and in the way we defeat threats and champion progress. Whether in the courts, in the streets, or appearing before Congress, we’re proud and humbled by our members’ passion for freedom and for the future that ought to be. Thank you.